The new government has said that it would soon appoint a commission to probe the final stages of the civil war, which came to an end in 2009. 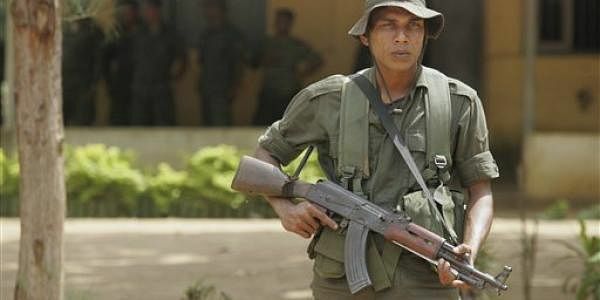 Sri Lanka's new government will appoint an independent commission to probe the last stages of the country's civil war that ended in 2009, a minister said Friday. Cabinet spokesperson and Health Minister Rajitha Senaratne told Xinhua that the commission will consist of professionals who would launch a full inquiry into the alleged human rights violations during the last months of the country's war against the Liberation Tigers of Tamil Eelam (LTTE). "We will consult other party leaders as well. The commission will comprise of professionals who are capable of conducting the inquiry. We will appoint the commission soon," Senaratne said. Following the Jan 8 presidential election, newly elected President Maithripala Sirisena's government pledged to investigate the alleged human rights violations during the final stages of the civil war. Rajapaksa's government had stood firm that it would not allow any international probe, assuring that no human rights violations had taken place. However, he had reiterated that he would not cooperate with an UN-mandated investigation.